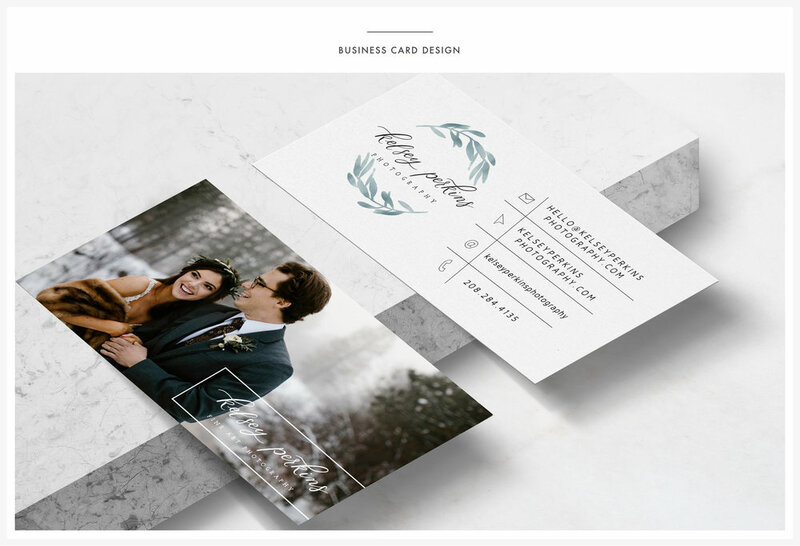 OVERVIEW: Full Brand & Website Design for photographer Kelsey Perkins. A modern, simple, and fresh design allows for her photographs to speak for themselves. 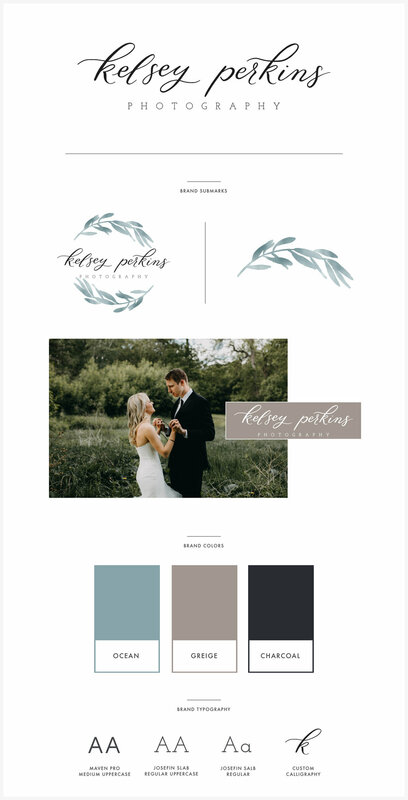 The logo features beautiful and unique custom calligraphy paired with watercolor leaves to reflect the beauty and unique moodiness of Kelsey's fine art photography.